Here's our latest 7" EP, released on Plague Bearer Records a few months ago. 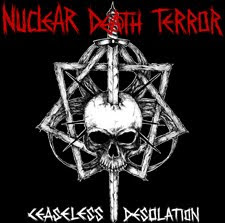 Three new hymns of nuclear desecration and a Celtic Frost cover. Enjoy! I LIKE THIS BAND! SALUDOS DESDE PARAGUAY!